Almost always just a word that will only be thought of in association with ‘health’ if it is preceded by ‘bad’, the term ‘binge’ is being spun into a more positive light by streaming giants Netflix… at least where the concept of content consumption is concerned. A recent survey from the American company has seen them announce their belief that the activity of ‘binge-watching’ – as is popular amongst viewers of their vast database of streamed content including TV series – is one that is above the stereotypes of ‘couch potatoes’ and is beneficial to a person’s health, on the basis that over half of those questioned claimed a ‘willingness’ to exercise while watching something Netflix. Further statistics found included 45% responding with the agreement that they would be ‘more motivated to exercise’ should they have access to content ‘on-demand and commercial free’ content available whilst already working out, whilst in a breakdown of content types, sitcoms were claimed to be the most popular format to exercise to(36%), followed after a gap by serialized dramas (27%), sci-fi/fantasy programming (24%), and reality TV (20%). With another year passing, it is time once more in the TV industry to look back on the previous 12 months and provide the world with statistics on what show was the most popular, and research from TorrentFreak has shown that once more, where online piracy is concerned at least, that crown goes to HBO’s premium fantasy drama series Game of Thrones. Taking the ‘honor’ for the second year in succession, it was found that the show managed to attract more viewers through pirated downloads (5.9m) for their season 3 finale than the total that actually watched live on the high-cost cable network (5.4m), a figure unlikely to have had much crossover due to the HBO Go catch-up platform available to all subscribers rather than them needing to download in order to watch again. It was another season finale that helped a fellow cable show take home the second place prize of most pirated series, with the season 5 closure of AMC black comedy program Breaking Bad attracting 4.2m downloads, compared with 10.28m TV viewers on average through the season. Our take on piracy is that until content providers give viewers easy, quick and cheap access to content, just like Netflix do, then it will continue to rise. Why would someone who wants to watch the latest episode of Breaking Bad wait until it arrives on Netflix, when it is sitting on a torrent site ready to watch in a couple of clicks? 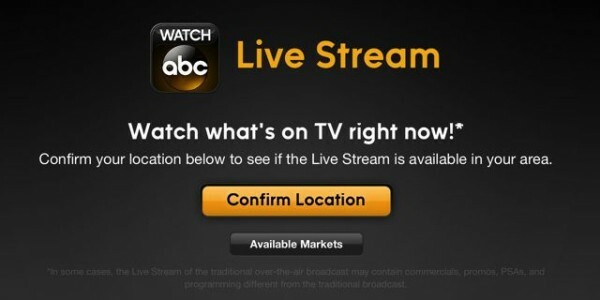 Game of Thrones can only be accessed by cable subscribers with HBO Go. If the networks catch up with reality and provide content online soon after airing at a good price (maybe sell Netflix the streaming rights?) then the problem will go. Until then we will see this list year after year, as even with the anti-piracy measures being enforced there will always be ways of accessing pirated content. The ranking of the top 10 shows in full, alongside their ‘most downloaded individual episode’ by which they were ranked, are summarized below. 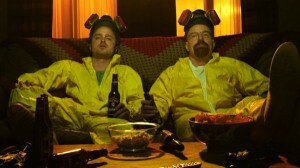 With Breaking Bad (and Dexter) more than likely to be out of the equation next year, what are the prospects of a new contender staking a claim for the semi-undesirable throne? The traditions of Christmas may still remain, but when the activities or gifts regarding the watching of content is concerned, the holiday, like the rest of the year, is slowly moving towards digital, after streaming platform Blinkbox revealed research they commissioned which revealed that close to half (43%) of adults in the UK region are planning to watch ‘more on-demand TV than ever before’ this Christmas due to the ‘repetitive TV schedule’. The research, taken on by OnePoll on Blinkbox’s behalf, measured the opinions of 2,000 UK adults from 13-16 December, and ended with the revelation that Boxing Day is the ‘most popular day’ of the holiday period when it comes to watching films and TV shows. However, most of those questioned (80%) noted that they were ‘fed up’ with the Christmas TV schedules, with a high quantity of repeats for shows/movies that are repeated each year on linear TV schedules. For this main reason, it is believed that more people will defy television tradition to see what on-demand content the internet has on offer, as Blinkbox promise to provide alternatives to the repeated repeats that they dub ‘as appetising as cold sprouts’ (presumably making Blinkbox the only slightly more appealing warm sprouts). From the survey, it appears as though around 20% of people have announced their intentions to match that sentiment and watch less TV-based content this Christmas, meaning there is plenty of free minutes and/or hours for Blinkbox to try and capitalise on. Banking their hopes on Blinkbox gaining more users on 26 December primarily through their presence on Tesco-brand budget tablet Hudl (which due to their shared management will naturally steer new users in the streaming service’s direction), and provide a final boost to their 1,230% rise in tablet use in the year 2013. 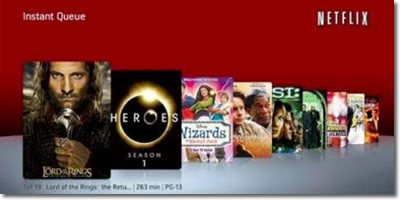 Blinkbox transactions through games consoles and connected TV sets are also noted as sharply increasing this year, with a total of 500% from 2012. Michael Comish, the ‘group digital officer’ of Blinkbox owners Tesco and the streaming platform’s co-founder, said of their plans in the increasingly-difficult market: “Being able to enjoy the latest and greatest movies and TV shows on multiple devices on your own terms really spells the end of the TV turkey at Christmas. We have seen the usage of tablets and games consoles for buying and watching movies and TV surge in 2013, building faster as we head towards the festive holidays. We expect demand to peak around Boxing Day with momentum continuing into the post-Christmas weekend. Looking to take advantage with the launch of what they call their ‘biggest ever January sale’ starting on Boxing Day as ‘hundreds of movies’ experience price reduction, will the digital video revolution be see some key steps taken in the UK before the year is out? Streaming catch-up service Hulu have revealed financial details for the year, and they pulled in $1 billion in revenue from an estimated 5 million U.S. subscriber base on the Hulu Plus paid service. 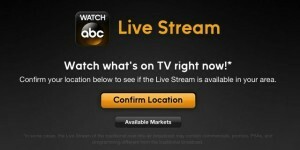 The company owned by a number of top TV networks including NBC and Fox, revealed the details in a statement, from new CEO Mike Hopkins, who said the earnings are up from $695 earned by Hulu Plus in 2012. Although the numbers may seem impressive, they pale into less significance when compared to rival Netflix. Forbes have a detailed breakdown of the figures and show that Netflix earns as much in a quarter as Hulu does for the whole year. Netflix will also gain as many subscribers in a single year that Hulu have got since launching in 2007 . 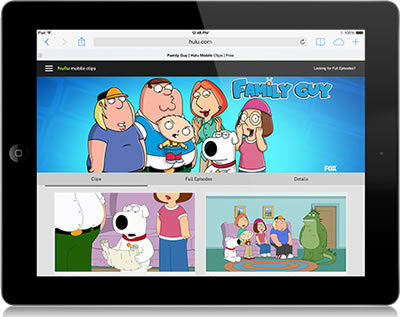 The Hulu Plus service costing $8 monthly can be watched on a number of connected devices that includes PC, laptops, smartphones, tablets, consoles and streaming boxes such as Apple TV and Roku. Hulu revealed that around half of it’s subscribers watch content on portable devices and that the, “living room viewing” accounts for more than half of consumption. In a similar vein to their service in almost literally the other side of the world, satellite broadcasting brand Sky have rolled out a new streaming service for their German division Sky Deutschland, one that will be offered in a similar manner to UK platform Now TV. The service, known as Snap, will provide German viewers (both Sky users and non-Sky subscribers) with the opportunity to view selected channels on-demand as well as numerous movies and featured content. 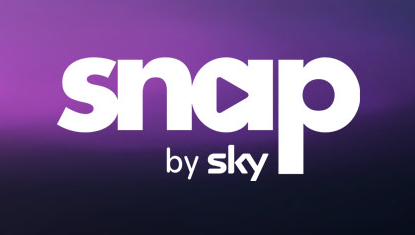 Basing its structure off of the Now TV platform from Sky in the UK, Snap be offered to non-Sky subscribers at a rate of €9.90/month with no long-term commitment, whilst ‘existing Sky customers’ are also able to gain access at the rate of €4.90/month added to their satellite/telecommunications bill, with the new brand set to be offered as a compliment the existing Sky Go and Sky Anytime VOD services. Snap’s model is noted as that of a ‘VOD library’ that went live last week, containing ‘thousands of titles’ that include ‘TV season box-sets’, content from HBO‘s library of archives, and ‘movies & children’s programmes’ – with Disney being a key supplier in this department. However, their individual shows will be far from the headlining content on display, with TV names such as 24, Boardwalk Empire, How I Met Your Mother, and The Sopranos, alongside a range of movies from high-profile studios, a selection that Sky are promising ‘extend daily’. Offered at launch on desktop, iPad, and Samsung Smart TVs (with iPhone and Samsung Galaxy support arriving in the near future), Snap from Sky Deutschland is set to offer a new avenue for German subscription content viewers, but will it be in place for the long run?